How can AWS DynamoDB service limits help you avoid resource wastage? Home Security & Health Service Limits How AWS DynamoDB service limits can help you avoid resource wastage? AWS DynamoDB has specific limits to their read and write capacity. AWS maintains these service limits so as to provide high availability, reliability, and robustness to the resources being used by the user. Service limits also help in minimizing the overuse of services and resources by the users who are new to AWS cloud environment. 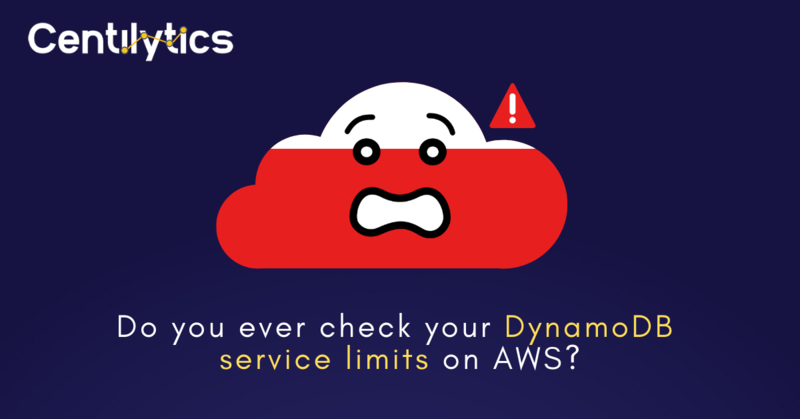 Why do you need to watch over your DynamoDB service limits? AWS DynamoDB is a fully managed NoSQL database that supports key value and document data structures. Users, while availing services of DynamoDB resources need to be aware of certain resource limits so as to continue using the resources without any performance hiccups. While using DynamoDB, users generally forget to keep track of what database capacity is available for use and what capacity has been already occupied. Breaching this capacity or service limit can lead to various unpredictable performance issues in your cloud environment which can adversely hamper your workload. How does Centilytics come into play? Centilytics gives an alert indication to the user whenever the said limit is about to breach. Our dedicated insight tells you the service limit of your DynamoDB read/write capacity. Limit Amount: This column shows the limit of the resource which is available. Here, the limit refers to the capacity of the DynamoDB. Next articleHow AWS Kinesis service limits help you avoid misuse of resources?